Do you own a wood deck or fence? If so, then you might have started to see some changes from when you first had it installed. Rain, snow, dirt, and even the sun can wreak havoc on even the most beautiful and well-built decks and fences. Overtime, the boards of these wood decks and fences can start to warp and twist, and mold and mildew can start to grow. Sunlight can start to cause fading, and watch out for splinters, as boards can crack or split over the years. Yet, there is a way to prevent these problems from happening or stop them from getting worse – staining your deck or fence. 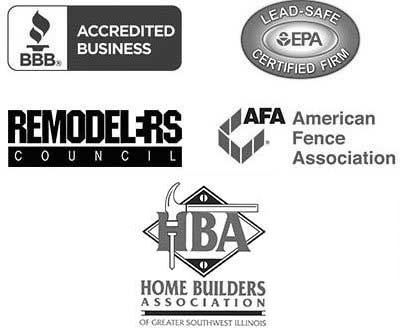 And, the best fence or deck staining company in the Belleville, Illinois area to do just that is Chesley Fence & Deck. At Chesley Fence & Deck, we believe that world-class workmanship is just as important as the stain that we use. That is why we only use experienced and highly trained workmen to stain all decks and fences to ensure years of optimal performance and beauty. We are also a certified applicator for Sherwin-Williams’ products, so you can always trust that we will do a job well done. 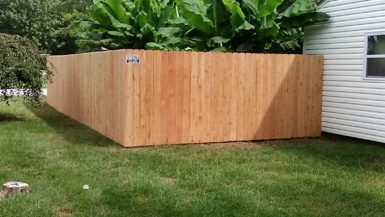 To learn more about the benefits of staining your fence or deck, or why we are the best among deck and fence staining companies in the Belleville, IL area to perform the job, contact Chesley Fence & Deck. We would be happy to show you why we are the fence and deck staining company of choice.